Councillor Stephanie Brookfield visited Ashleigh School in Darwen with Councillor Kate Hollern, leader of the Council, to talk about safety concerns and also highlight the problems being faced there. Worried parents and residents contacted Councillor Hollern about parking issues outside the school. 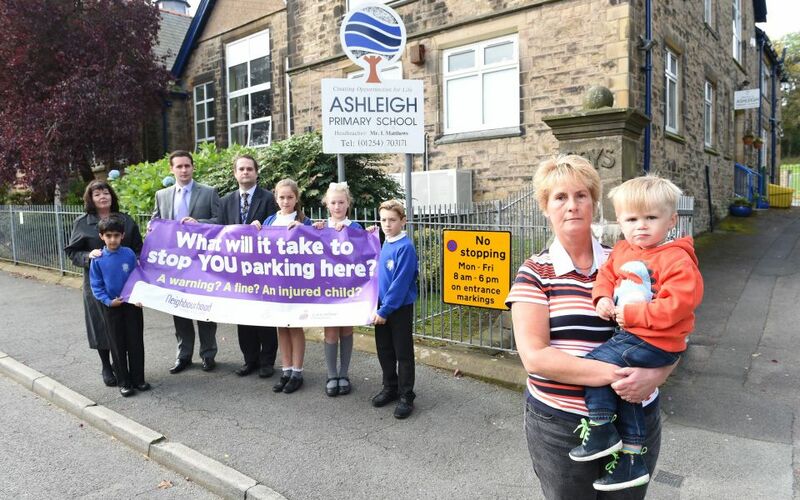 Complaints included parking congestion in front of the school, including parking on zig zag lines and other areas which compromised the children’s road safety. Councillor Brookfield and Councillor Hollern spoke to head teacher Ian Matthews and said the Council will look at what more can be done. People need to realise how dangerous inconsiderate parking is. Everyone has a responsibility to keep our roads safe. I am determined to get the message out there for drivers to think about what they are doing and for pedestrians especially children to keep safe. The Council takes road safety issues extremely seriously, which is why we appointed Councillor Brookfield to lead on tackling these issues. Councillor Brookfield is asking for people to talk to her about road safety issues and can be contacted on her email Stephanie.brookfield@blackburn.gov.uk or 07795087577. The Council has also set up a new Facebook site for people to raise issues about road safety.